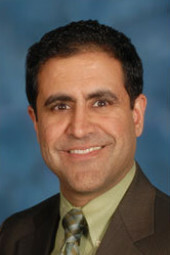 Dr. Chawla joined Radiation Oncology Associates in 2011. He received his undergraduate degree from Pennsylvania State University, graduating with honors in Biology. He received his M.D. from Thomas Jefferson University in Philadelphia in 1998, where he was elected to the prestigious Alpha Omega Alpha Medical Honor Society. He completed his Radiation Oncology training at Harvard’s Massachusetts General Hospital in 2003, where he won awards for scholarly research as a Radiation Oncology resident. He has published several peer-reviewed articles related to breast, prostate and gastrointestinal cancer management. Prior to joining ROA, he served as a Radiation Oncologist at Anne Arundel Medical Center in Annapolis, Maryland. There, he helped lead innovative clinical research as the Principal Investigator for Breast Cancer protocols with the Radiation Therapy Oncology Group (RTOG). He also helped lead the cancer center’s Stereotactic Radiosurgery (SRS) Program, and served as Cancer Liaison for the American College of Surgeons’ Commission on Cancer. He led numerous studies involving Partial Breast Irradiation (PBI) as well as Prostate, Central Nervous System and Head/Neck cancer investigations. His clinical interests include the multidisciplinary management of breast cancer and prostate cancer patients, and he is Director of the Partial Breast Irradiation program at Inova Fairfax. He has expertise in the use of Stereotactic Radiosurgery (SRS) and Stereotactic Body Radiotherapy (SBRT) for tumors of the brain, spine, and lung. His other areas of clinical interest include gastrointestinal, lung, head/neck and brain tumors. Dr. Chawla is board certified in Radiation Oncology. He has been listed in Washingtonian magazine, Northern Virginia Magazine, and U.S. News and World Report as a “Top Doctor” for Radiation Oncology in the Washington D.C. and Northern Virginia area.